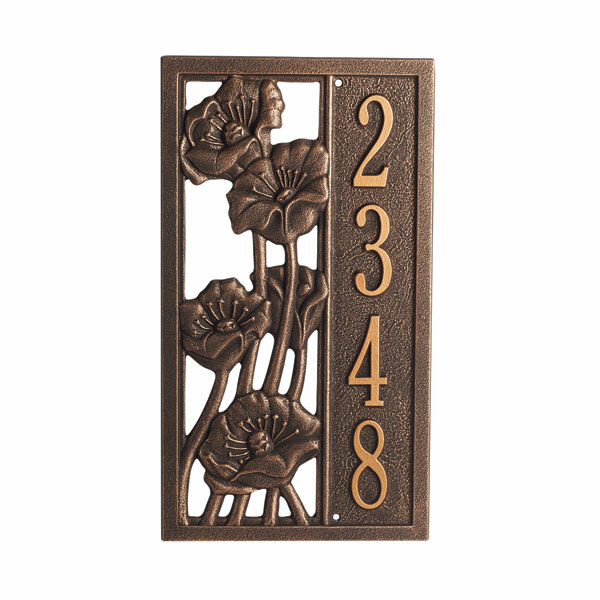 Add elegance and distinction to your home. 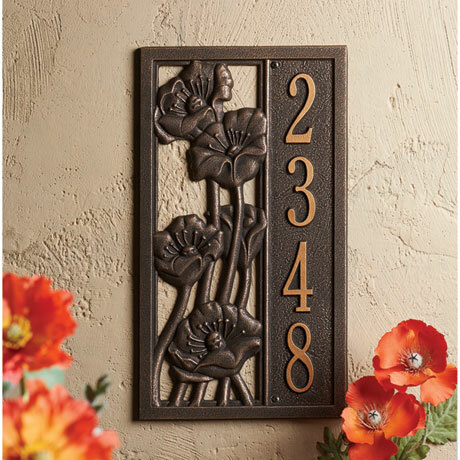 Blooming with poppies, vertical plaque is fresh and contemporary (and fits more spaces than the more traditional horizontal plaque). Cast in recycled aluminum with raised letters, it has a weather-resistant finish that will last a lifetime. 8 ¼" x 15 ½ ". Made in USA. Specify up to 5 numbers. Allow 3-4 weeks. No rush delivery or gift box.